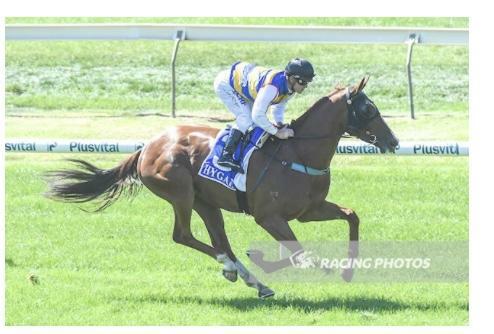 Awaytoff was a runnerway winner in the first race at Bendigo today. With the Blinkers on for the first time , his jockey Jarrod Fry took him straight to the lead from barrier 4. He rated him nicely and was able to pinch some cheap sectionals mid race, he extended his lead nicely in the straight and cruised to the line to win comfortably by two and a half lengths. So happy to win for our owners, including Mike Hirst who also bred the horse. A special thanks to all our staff who do a great job behind the scenes .